Are you new to this whole slime business? No problem. We talk with Producer Ryota Aomi about building an action game for all kinds of gamers. Valiant warriors! Grand adventures! Tons of slimes! 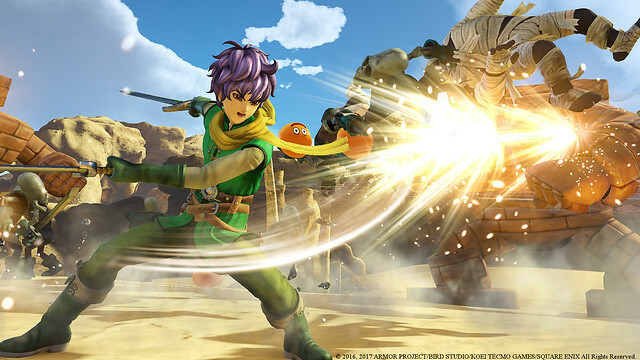 Today marks the launch of Dragon Quest Heroes II. It’s the second chapter of the spin-off series that fuses the colorful characters and rich RPG mechanics of Dragon Quest with the crowd-clearing combat that Omega Force is known for. To celebrate the launch, we corresponded with Producer Ryota Aomi about how the game is geared towards newcomers, hero balance, multiplayer, and — of course — his favorite slime. If you’ve never played a Dragon Quest game before, can you jump right into this one as a beginner? 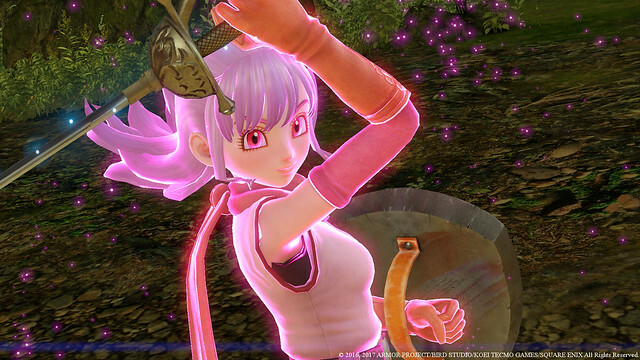 Ryota Aomi: The Dragon Quest Heroes series is designed for those who haven’t played Dragon Quest. 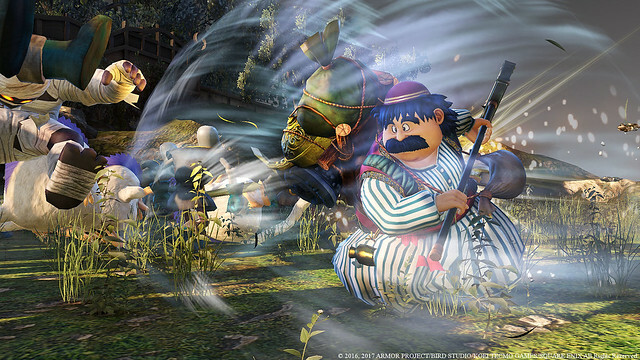 When people hear the name “Dragon Quest,” command-based battles may come to mind, but this particular series is action oriented, with more intuitive controls. We hope everyone will get to know the charm of Dragon Quest after playing this game! What’s the one thing a player should know before getting starting? 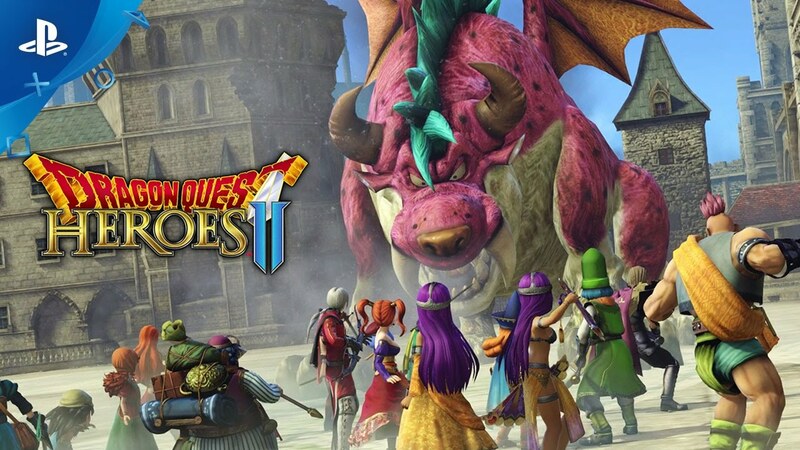 Ryota Aomi: Dragon Quest Heroes II follows a fundamental design philosophy in the series: even players who struggle with games can reach the end by leveling up with experience points and improving their weapons. Furthermore, Dragon Quest Heroes II features a system that enables other online players to assist you with story battles. This system will make it easier to defeat bosses or complete stages that were previously difficult to overcome. As a side note, Yuji Horii — the father of Dragon Quest and the general director of this title — is the one who came up with the idea for this system. He wanted people to be able to help one another more easily. How does the story of Dragon Quest Heroes II differ from the original? Ryota Aomi: It’s actually quite simple. We created a completely different story so that those who haven’t played the previous game will also be able to enjoy this one. Furthermore, as you can see from the other games in the Dragon Quest series, each and every title is an independent experience. This game takes on that same rule. Additionally, there was also a desire to refresh the main characters, starting with the protagonists. 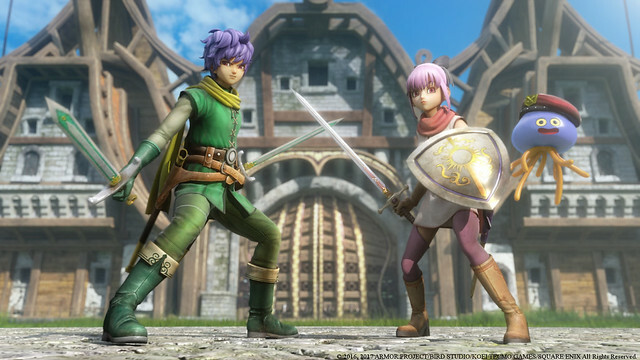 Dragon Quest Heroes II boasts character designs by manga artist Akira Toriyama. Who wouldn’t want to see new characters from Toriyama? I’m extremely keen on seeing his new designs (laughs)! Who do you like to play as, and why? Do you have any recommendations for newcomers? Ryota Aomi: We set up each character to be as well balanced as possible. There isn’t a particular character we recommend for beginners; if anything, we would like players to start by selecting a character based on their own preference, whether it be visual appearance, weapons, or skills. Cesar is cool, and Maribel is super cute (laughs). If I had to choose, I’d say that Terry’s sword actions feel extremely good. If you master them, the other characters who wield swords will be easier to use. Who have you played the new online multiplayer mode with? Ryota Aomi: I, of course, played this mode repeatedly with the development staff before the game debuted in Japan, but I also matched up and played with people I’ve never met before after it launched. I’m sure the other person had no idea he/she was being paired with the producer (laughs). Players can enjoy this mode with friends, or match up with other people they don’t know without hesitation, so we’d love to see everyone take a moment to enjoy this mode as they progress through the story. What are you especially proud of in Dragon Quest Heroes II? Ryota Aomi: We’re proud of the fact that we were able to launch this game within a year of its predecessor without having to keep everyone waiting. Looking at recent console games, there are many titles that take several years to develop, but we were able to develop in a short amount of time due to the efforts of the Omega Force (ω-Force) development team at Koei Tecmo Games. We often get questions like “How are you able to develop so fast?” Because everyone on the development team loves Dragon Quest! In all seriousness, because we love the franchise so much, our aim and goals were clearly defined, so we were able to proceed without straying off course. What did you learn from the original Dragon Quest Heroes that you could apply to the sequel? Any feedback from players? Ryota Aomi: There’s truly so much fan feedback we used in Dragon Quest Heroes II! We started development of this game by gathering every piece of feedback possible. The overall volume was overwhelming, but the development team discussed it all and honed in on select points of focus. For example, things like a more adventurous battlefield, multiplayer, changes in vocation, and overall gameplay improvements. In fact, a lot of the feedback aligned with what the developers wanted for the project, too. This is extremely important when developing a game, but oftentimes extremely hard to achieve. But we were able to do it with Dragon Quest Heroes II! Were there any other games, movies, or books that inspired you while you worked? Ryota Aomi: We weren’t necessarily conscious of this when developing the game so there isn’t something in particular that comes to mind (laughs). I’m a Star Wars enthusiast (laughs). Perhaps we were inspired by various games or books unconsciously. If I had to name something, I’d say we wanted the multiplayer to be as accessible as possible, so we did a lot of research when it came to the matchmaking design and flow of multiplayer shooters. Do you have any memorable stories from during the production? Ryota Aomi: A healslime monster named Healix appears as a mascot in this game following its appearance in the first installment. Just as we were getting ready to record the English voiceover, the boy who had taken on the role of Healix went through a voice change (laughs). The recording took place almost a year after the previous title, but a child’s growth was faster than any of us had imagined. That said, we were extremely happy for his growth since it felt like he leveled up and acquired a new skill. We hastily asked another boy with a similar voice to take on the role. I encourage you to listen and compare Healix’s voice between the two games! Last but not least: what’s your favorite slime? Ryota Aomi: This is the most difficult question! This is extremely agonizing (laughs). If I had to choose, I’d go with metal slime, liquid metal slime, or… no, perhaps the metal king slime for experience points! But my favorite is the healslime, which happens to be the mascot character of this game. I’ve become extremely attached to the character as I’ve spent the most time with it. I also sleep with a Healix plush every night. I’m joking (laughs)! Healix is an important character we’d like to continue to develop, so please look forward to it! I was looking forward to this game after hearing that there was a japanese PS Vita version and even bought the previous one for PS4. Sadly, it seems the Vita version is not getting localized and in turn I’ve decided not to support the localized console version, even if I do have a PS4. Sorry for you. It’s always sad then “Vita” gamers ruin their gaming experiences by holding tantrums. I am looking forward to this game and after hearing that there was a japanese PS Vita version and even bought the previous one for PS4. Sadly, it seems the Vita version is not getting localized but I’m not going to complain about it and I’ve decided to support the localized console version on PS4 regardless.